The Category your're choosing is where your wack’ll be highlighted-where it will be available, and seen, even without use of Keywords. Put that wack in the right place and you're doubling its visibility: on the shelf, and through member Search. And with that kind of visibility, it's bound for front page limelight. When you add that wack, the first thing you'll be choosing is your Category from dropdown menu at page top. Dropdown menus will continue to slide open 'til you've chosen the most descriptive, the one that fits your wack. Make sure your wack's in the right place, the first time. Once submitted, Category remains fixed and location can't be changed. 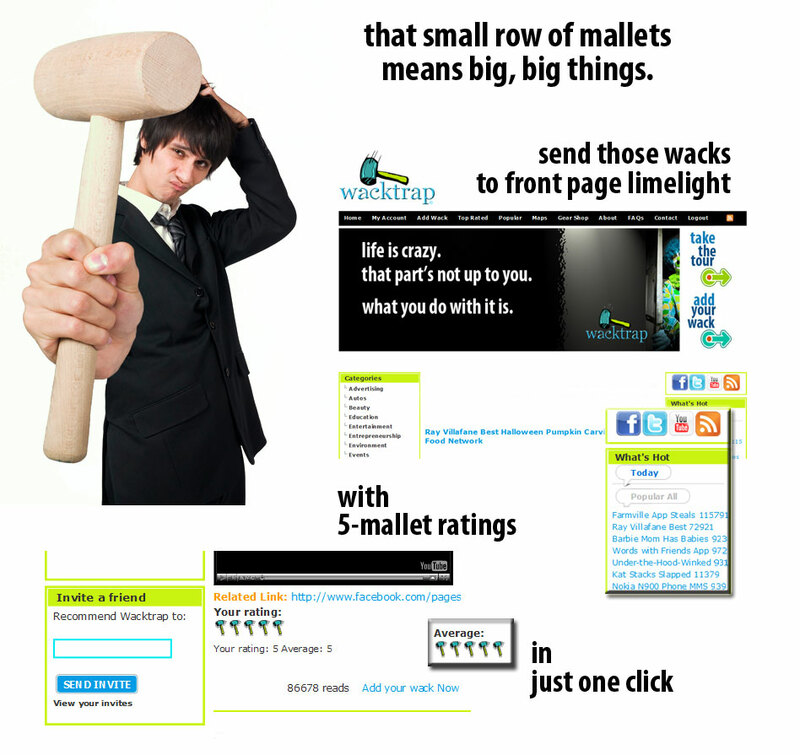 If we haven’t created a Category that fits your wack just right, we’ll make it right: Contact Wacktrap now to get the wack Category you need.